Temperature and direct fire resistant, refractory putty. Excellent adhesion to metal, brick and concrete. Paintable. Sealant is not intended for sealing joints of natural stone, such as granite, sandstone, marble,etc. Not suitable for bonding aquariums and terrariums. Sealant is not intended for applications involving structural glazing. It is not suitable for direct contact with food and medical uses. 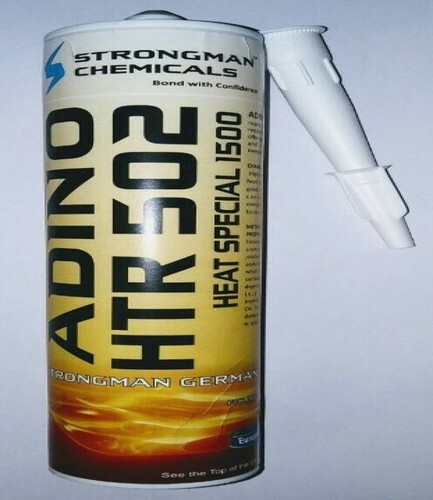 Sealant was not duly tested and it is not suitable for medical and pharmaceutical applications. Do not apply on pe, pp - no adhesion. Do not apply on sensitive metal surfaces for example copper and its alloys and silver steel of mirrors. Not suitable for central heating systems and gas installations. Not suitable for uses in places exposed to water. Established in the year 2011 at Bengaluru, Karnataka, we “Well Thought Chemicals” are a “Partnership” based firm, are involved as the Wholesale Trader, Manufacturer and Wholesaler of Chemical Powder, Concentrated Acid, Demineralized Water, Caustic Soda Flakes and many more. As per the needs and requirements of our clients, we are involved in providing a wide range of these products. Under the esteemed guidance of “D.m Krishna (General Manager)” we have attained a huge client base in the market.